With the direct collaboration of Chad McQueen. who helped us to make this piece as accurate as possible. as well as contributions from Tag Heuer and Firestone (Bridgestone). we have managed to depict every last tiny detail of Steve McQueen during a race in the historic 24 Hours of Le Mans. which he personally raced in and featured in the film he would then go on to star in. The suit. the helmet. 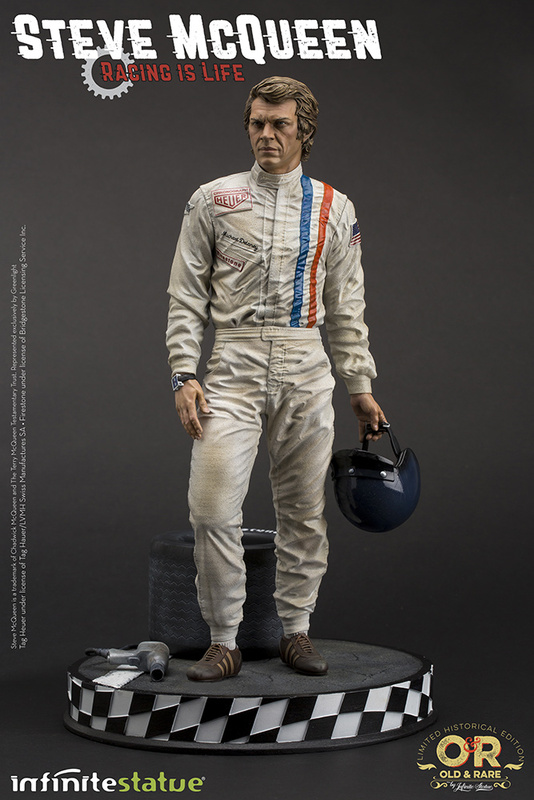 the wheel of his Porsche 917: attention has been paid to every last detail to make this statue an homage to the great actor and his greatest passion. This limited edition is destined to become the cult piece for a cult classic. to be as cool as the King of Cool.